As part of cosmetic dentistry, as well as restorative dentistry, dental crowns and bridges not only enhance your smile, but they also improve your oral health and prevent potential dental problems from happening. 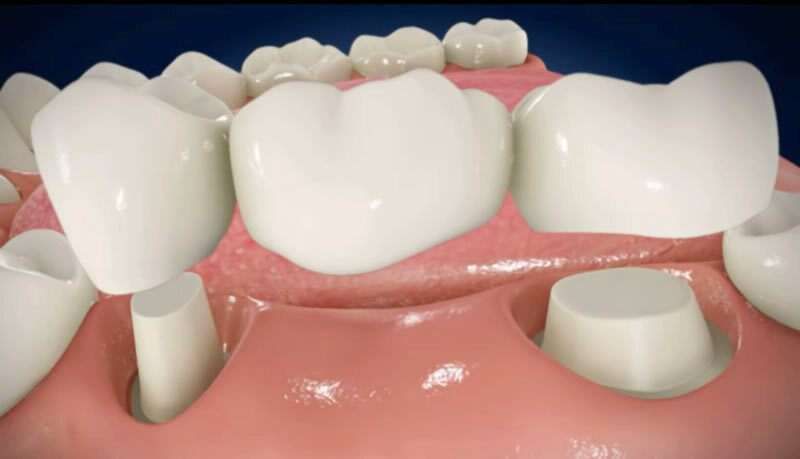 Dental crowns and bridges are replacements to missing teeth, but they are each applied in different cases. At Oakwood Village Dental, we will determine which restorative measure is right for you. Dental Crowns are commonly used if a tooth is damaged beyond repair, but with enough healthy structure to act as the foundation of the crown. 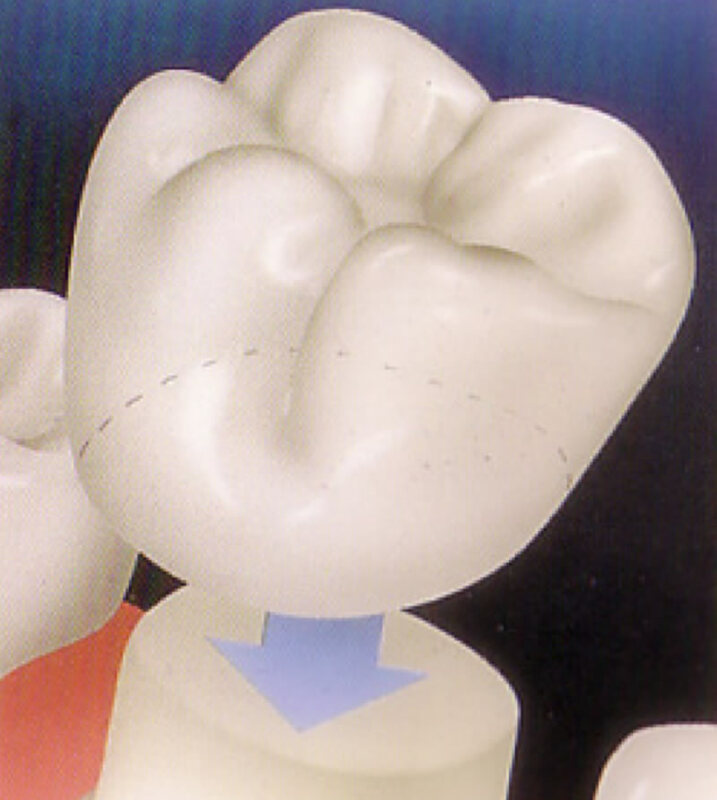 The decayed part of the tooth is removed leaving only a healthy base for the dental cap. So, instead of removing your whole tooth and leaving you with a missing tooth, we’re replacing the affected tooth with a strong, durable and natural-looking restoration. Dental Crowns can be even used without having any healthy tooth structure to work with. By placing a dental implant in place of your missing tooth, the dental crown can be permanently fixed to that implant, holding it securely in place for years to come. Dental Bridges are also restorations for missing teeth, whereby the restoration relies on the neighbouring teeth on either side of the gap to hold the bridge in place. The neighbouring teeth get prepared to support the bridge and act as its strong foundation. Dental bridges, just like dental crowns, restore appearance, bite and function to your mouth, making you feel confident and happy when smiling, eating or speaking. Contact Oakwood Village Dental today, and let us help you maintain great Oral Health!